After teaching for a few years, you’ve probably noticed a few gaping holes in the marketplace. You couldn’t find the product that you needed for a lesson. In order to fill that void, perhaps you went ahead and created your own product to fulfill that need. Necessity is the mother of invention. Have other teachers eyed your idea? Did they ask you to build, make, or create your product for their room? If so, you know you’ve got a hit on your hands. Have you ever considered selling your product online? It doesn’t matter if you only have time to make a few prototypes of your product – you can still sell just a few of them at a time at an educational exchange website. An educational exchange website is a site that’s solely for the education industry. It’s a place where you can test the waters and put your teacher-made materials up for sale. If you’ve ever had someone tell you that you should sell your creation, now you can. 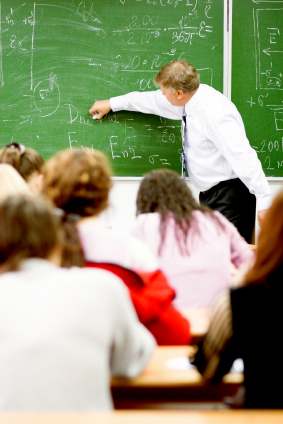 Who knows the educational industry better than teachers? You know exactly what other teachers need; you’ve been in their shoes. With that in mind, you can make some extra money by selling your useful item or service to schools that need them. You don’t have to have access to a factory in China to produce your goods. Because you can sell your item one at a time, there’s no need to hurry. If your item takes off, then perhaps you’ll need to find an assembly line to manufacture large quantities. Even if you don’t have a new idea, you can sell your gently used items online at an educational exchange, where you can post items for free. Instead of selling your stuff at a public auction site that charges an insertion fee, you’ll reach your intended audience better by strictly using an educational exchange site. Whatever you’ve got to sell, there is a buyer out there, just waiting for it. You simply have to connect with your buyers. Don’t be shy – take the time to gather your products and start selling them today. After all, you’re a teacher – you can probably use the extra money. Recent studies prove that teacher salaries have grown at a significantly lower rate than private sector pay over the past ten years. For every new dollar earned by professionals in the private sector, teachers gained just 18 cents. Market your product today and start bringing in some cold hard cash.